The property market fact file is a collection of data compiled each month by our Chartered Surveyors and the propertysurveying.co.uk team, reflecting survey data, statistics, trends and information from the property market. This provides a single place where anyone with an interest in UK property can find the information they need. 2018 has been a rocky road for the UK housing market, with Brexit uncertainty, sky high house prices and historically low mortgage rates, so what can home buyers, property sellers and investors expect from 2019? In its landmark assessment of the English planning system, the newly-published Raynsford Review suggests that, while the planning system has the potential to make people’s lives better, deregulation has in many cases undermined this opportunity. The government regulator for gas and electricity, Ofgem, announced in November that 34 suppliers collectively owed over £100 million in buyout payments under the government’s Renewables Obligation scheme. Veteran property developer, Sir Stuart Lipton, has announced a collaboration between his development company, Lipton Rogers, and that of his son Elliot’s mixed-used development company, First Base. The new business will focus on building new homes on brownfield sites in and around London. In the long run, buying a house is less expensive than renting and most of us would agree that buying a house is worth the wait. However, with a combination of reduced savings and house prices almost doubling in the last decade, the average first time buyer is now aged 35. Internet giant, Amazon, has revealed its latest vision for smart homes to be powered by Alexa, with a range of new gadgets and features it hopes will take the world by storm. 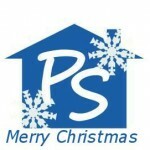 Do Christmas decorations really reduce your property’s selling potential? Almost all estate agents will tell you that Christmas is not the wisest time to put your house on the market, as many people want to stay secure until after the New Year or even wait until spring. However, if you do find yourself trying to sell during the festive season, then there are some rules you should follow that will help maximise viewers. Property essentials … or property faux pas? As chartered surveyors and property experts, our independent Chartered Surveyors know a thing or two about property renovation and expansion and their expertise comes to good use in their work. In this article, we reveal their top property ‘must haves’ and property ‘turn-offs’. A home in Lanelli, Wales, with art deco influences is on the market after being in the same family’s ownership since 1939. Very little inside this detached home has changed since September 1939, with many original features, and items of furniture, remaining from the same era. We suffer from ‘home sickness’, look forward to ‘going home’ and believe that ‘home is where the heart is’ … but just what is the definition of home? Is it just a geographical area, or more than that? Christmas in the UK is generally considered to be a magical time of the year; a holiday season and time of merriment, and an opportunity to relax and share good food and exchange gifts with loved ones. For a short time of the year there is a cosy winter glow and, whether people celebrate a religious festival such as Christmas or Hanukah or a more secular occasion, each country and sometimes region has its own traditions. Subscribe to receive this newsletter by email every month (we promise never to share your details with a third party). The next newsletter will be published in January 2019.